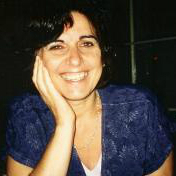 Prof. Nicolopoulou is a sociocultural developmental psychologist with a range of research interests that include the role of narrative in development, socialization, and education as well as the influence of the peer group and peer culture as social contexts for promoting and shaping children's language, social understanding, and gender identity. Several facets of her work have implications for prevention science that link them especially closely to key concerns of the HMS program. For example, one line of research involves helping prevent and overcome language and reading difficulties in young children, especially from low-income and otherwise disadvantaged backgrounds. Nicolopoulou has explored ways that preschool education can contribute to these goals through creating effective intervention programs to promote strong oral language and narrative skills while simultaneously fostering social competence and a strong sense of self. More recently, she has also been using her expertise in studying narrative skills and their development to help design assessment and intervention tools for working with children who have autistic spectrum disorders (ASD) or specific language impairments (SLI). She is collaborating in this project with colleagues at the University of Massachusetts in Amherst, the University of Reading (UK), the Aristotle University of Thessaloniki (Greece), and the University of Melbourne (Australia).